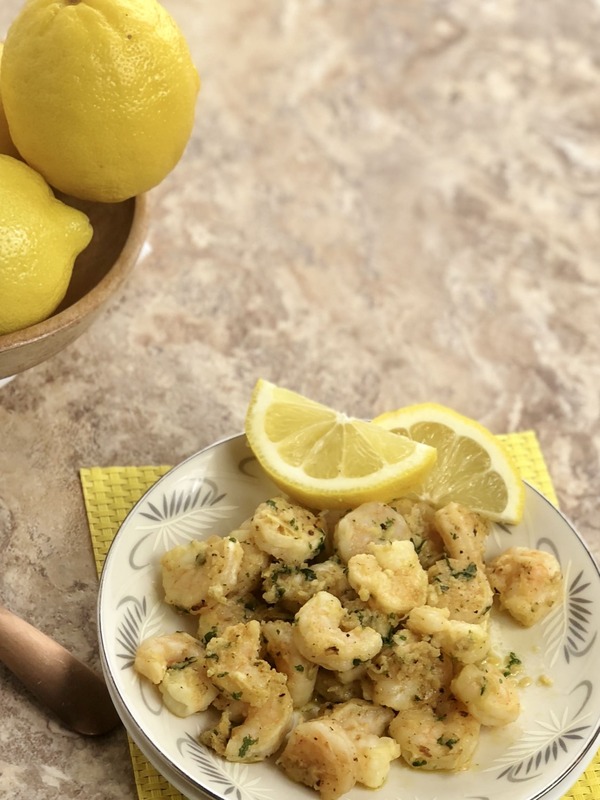 Lemon Garlic Shrimp Recipe has become a family favorite overnight. This dish is so quick and easy to make but packed full of flavor. It is a gourmet meal that you can make in under 10 minutes of prep and cook time. 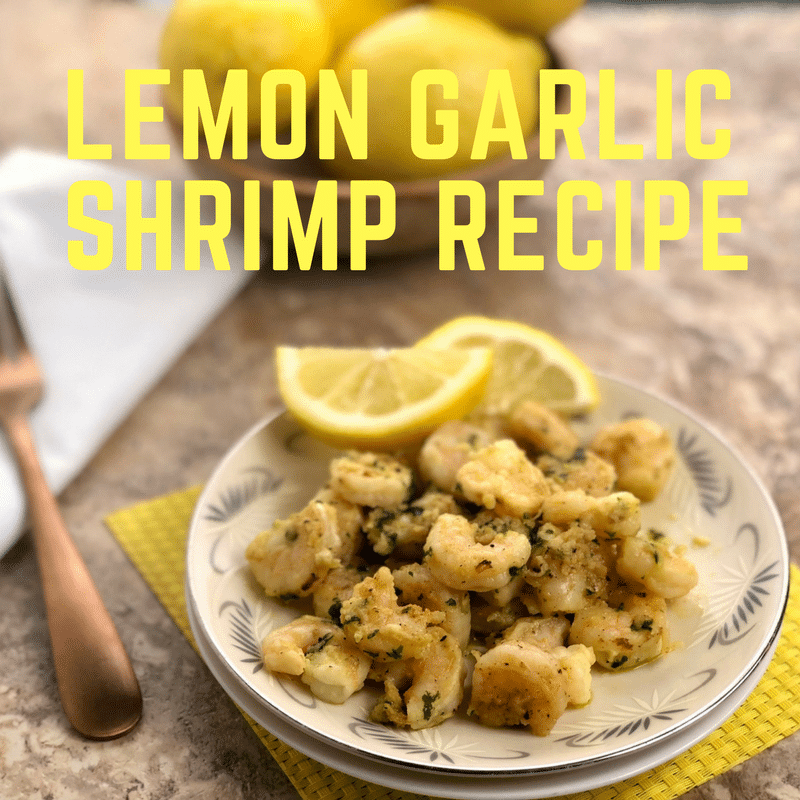 The minced garlic paired with the lemon and parsley, really make this shrimp taste outstanding. You can serve over a bed of rice, pasta, couscous, quinoa, or alone with a side of crusty bread for a delectable dinner any day of the week. However you decide to serve it up, I am sure it will be a hit! Shrimp is a wonderful source of protein. It has 140 grams of protein in 1 pound of shrimp. I always try and rotate in some shrimp and fish into our dinners, so that we are not just constantly eating, beef, chicken or pork. I used to think seafood was something you only got when we went out to eat as a kid. Now I know I can pick up some shrimp in the store and make a simple dish that tastes like I slaved away for hours creating the perfect concoction of flavor. 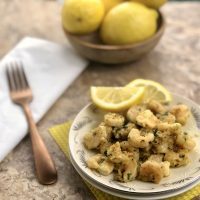 Two flavors I love to always pair is lemon and garlic, it seems like they just create a whole new dimension of flavors for any dish. Whether it be pasta, in a shrimp dish like this, or to top some chicken. 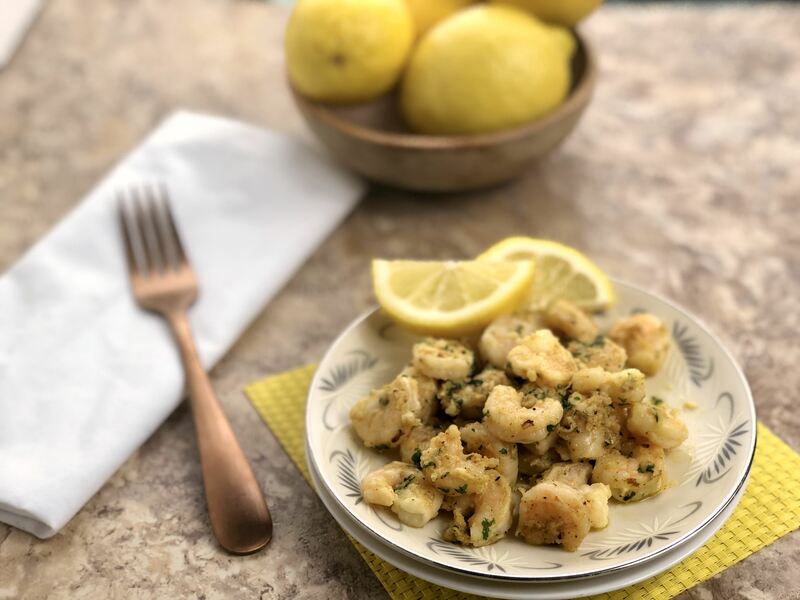 Then you bring in the lemon element of this dish and it adds such a fresh zest that is so light and refreshing, it helps make this dish taste nice and light! 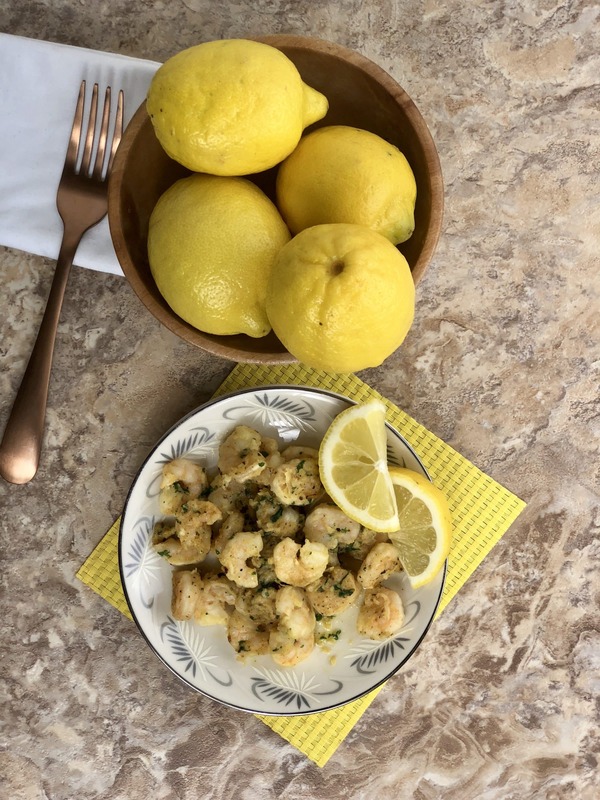 This dish always makes me think of warm summer days, where you could whip this up and then head out and sit on the patio to eat with a cup of iced tea or lemonade. Listen to the birds chirping, kids playing in the neighborhood, and just enjoy the outdoors. Since we had a few days that were a little warmer, I just couldn’t resist making this dish and reminiscing on the warmer days. At least it is right around the corner! I hope if you make this dish you love it as much as we do. It truly is a super simple dish to make, that uses minimal ingredients! All ingredients are simple so you can find them at any grocery store. Happy cooking. Add garlic, Parsley, salt and sauté about 1 minute. Add shrimp and cook, stirring, until pink and just cooked through, 2 to 3 minutes. Stir in lemon zest and juice. Serve over rice or pasta.